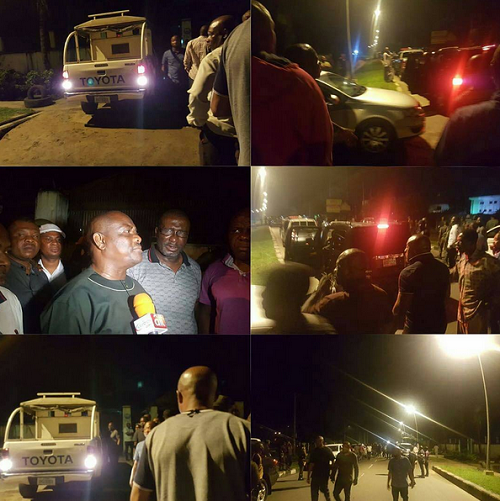 Governor Wike was today manhandled by the DSS and the Police as he tried to stop the arrest of a serving judge of the Federal high court in the early mornings of saturday,around 1 am to be exact. 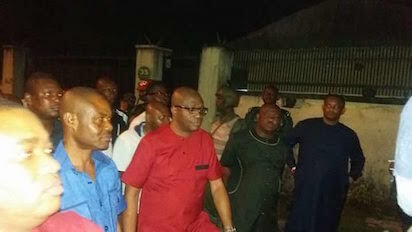 The incidence took place at the residence of the judge which is at the old GRA area,No 35/84 B residence, Forces Avenue, Port Harcourt.Incidentally,it was only about a minute away also from Governor Wike's state house residence. finger.He said this was caused by the DSS men. If a governor of a state can be harrassed physically in his own state,who is safe then? 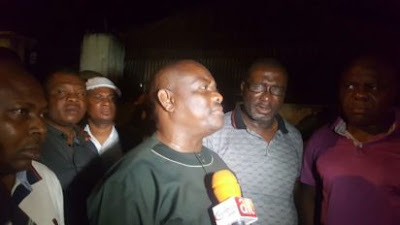 Speaking further to newsmen Wike said: “What has happened this night is unfortunate. Even in military government it has never happened like this , you listen to people. 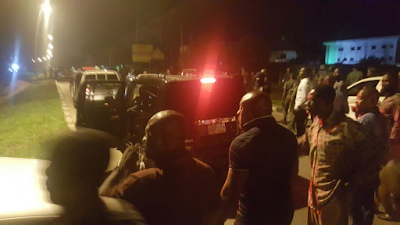 Wondering why the security men will choose 1 am to storm the residence of the judge the governor said their action portend danger for the nation’s democracy. He said all he expected the security men to have done was to invite the judge, adding that if he had ignored the invitation then other legal steps should have been taken. Continuing, he said he did not bother to know the name of the judge but he only had to come out to stop the attempted abduction of the judge because as Chief Security of the state he would not allow such lawlessness take place in his state.